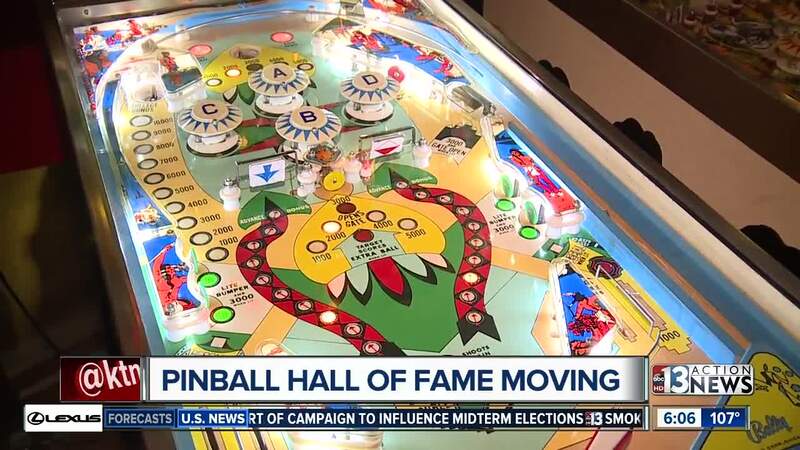 The Pinball Hall of Fame has become a popular Las Vegas destination, where people can play vintage arcade games for just pocket change. Their current location near Tropicana and Maryland houses dozens of games, some even from the 40's and 50's, that still work for people to enjoy. "There's really nothing else like it," says owner Tim Arnold. Arnold says the Hall of Fame draws locals and tourists alike. "It bring back memories," says Joe Wade, who is visiting from North Carolina. He says he searched for the Hall of Fame online and decided to check it out. But Arnold says many tourists either don't know about them or don't want to venture so far away from the Strip. "Some tell me it's a $20 cab ride each way," he says. Arnold says recently, though, he saw an opportunity to change that. He purchased land on the Strip next to the Harley-Davidson store near the Welcome to Las Vegas sign. He's planning to build a new building there, that would be 3 times the size of their current location, and allow him to bring even more vintage games out of storage. After buying the land, it will still cost $3-4 million for the new building, and take a few years to complete. They're working on financing with the bank, but are also looking for donations. And of course, for people to keep coming by in the meantime, and spending their quarters to play.